Foodies and horror fanatics rejoice! 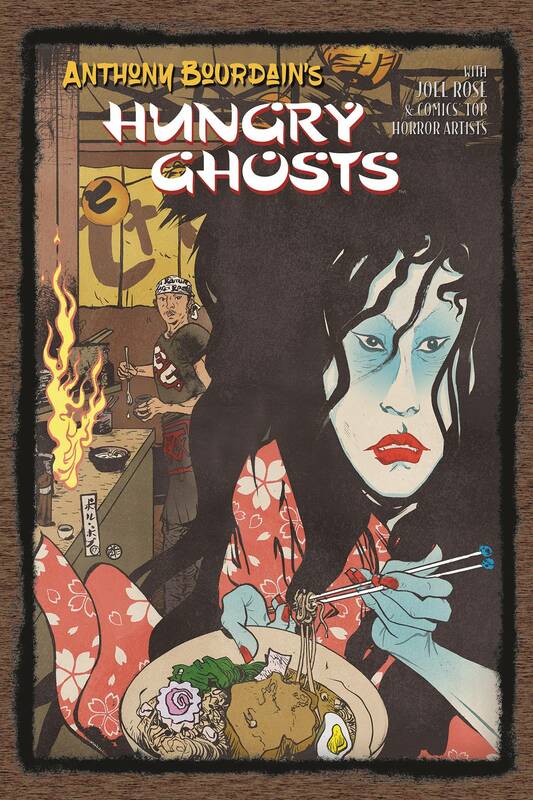 Inspired by the Japanese Edo Period game Hyakumonogatari Kaidankai or 100 Candles, a circle of chefs gather to outscare each other with modern tales of fear and food from around the world-and pray that they survive the night. Cooked up by the best-selling author and veteran chef, Anthony Bourdain (Kitchen Confidential, Emmy-Award winning TV star of Parts Unknown) and acclaimed novelist Joel Rose (Kill, Kill, Faster, Faster), back again from their New York Times #1 bestseller, Get Jiro!). o Features all-new, original recipes prepared by Bourdain, plus a guide to the ghostly legendary spirits behind these horrifying tales. Collects the four-issue mini-series. o For mature readers. 'Anthony Bourdain proves yet again he can do no wrong. A modern day King Midas, it seems like everything he gets his hands on takes off in a major way! '-Outright Geekery.